This entry was posted on Thursday, May 3rd, 2012 at 11:43 am	and is filed under Uncategorized. You can follow any responses to this entry through the RSS 2.0 feed. You can leave a response, or trackback from your own site. why wouldn’t you use some pneumatic pistons instead of motors to open the door(s!)? Curious about the scope trace of the hall sensors in the pic above. What would it look like if they were properly commutated? Good question. I think the mechanical guys were thinking of using Elephants at some point, but only if we could bring them across the Alps first. Actually, I think I mislabeled those traces. Looking at them again, they’re almost certainly the traces taken directly off the BLDC coils. That explains the rise and fall times and the fact that the v/div shows something like 10V on the top two traces. And they wouldn’t look THAT different really. If you had your probes attached in a sensical way, you’d want to see the first coil go high, then the second, then the third — in that picture, it would be “right” if you moved the top trace to the middle. But, that’s just the position of the scope probes. Noteworthy on those traces are the dips in the middle of the top and bottom plateaus. That means that the voltage there is dropping when the next coil is switched on, which indicates a current spike. Depending on the supply you’re using and the motors, the magnitude of this spike can tell you a lot about losses in your system. Another way to figure out the commutation order on the halls is to apply current to one winding. The motor will then lock to one position. Read the states of the halls and move to the next position. Compumotor lists the process in more details in their drive manuals for people wanting to hook up motors from other manufacturers. I’m interested of your door opener mechanism. How does it look like? How does it work? I ask because I want to implement a door opener in my room. Thanks. For sure. That, along with the Maxon manual, was how I figured out the commutation pattern initially. Good call. Do you have a link to those Compumotor manuals? I’d love to link them in here for other people trying to figure this stuff out. Thanks! I’m afraid I can’t tell you about the opener mechanism. The project is NDA’d so I can’t talk specifics, which is why this post is so vague. But a good place to start is always http://www.mcmaster.com/# — do a search for openers and see what you can find. Even if the mechanism you want isn’t there, it’ll help narrow down the terminology which makes trolling the internet for what you want a lot easier. My favorite method of aligning commutation sequence and hall sequence it to compare the motor’s back EMF to the hall sensor outputs. (I’ve built a lot of BLDC and PMAC drives using poorly documented motors). Grab a scope with at least two inputs. Put one hall sensor’s output to scope channel 1 and the voltage between two of the motor leads (using a decent differential probe!) to channel 2. Then connect an electric drill to the motor shaft (a piece of garden hose and a couple of hose clamps works wonders) and spin. 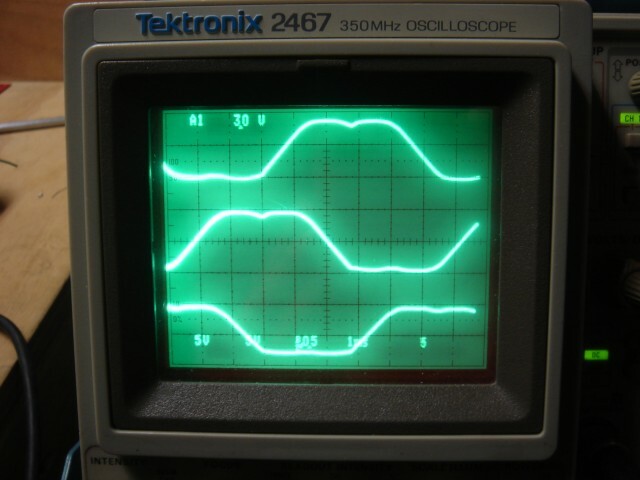 Observe which hall outputs correspond to the generated phase voltages and design your commutation sequence accordingly. I am newbie to bldc motor and driver control. I have an eval-board motor driver whose hall-commutation sequence is 1 step (60 degree; ie. 612345) different from the motor’s hall-commutation sequence as provided by the manufacturer (ie. 123456). In this case, is the motor considered not operating correctly at all? If yes, is it mandatory to change the driver code to make it match 100%? I would assume the motor is operating correctly (ie. no extra power should be drawn), because the driver is just not energizing the coils in the same hall-sensor sector only (ie. not following a textbook example), but as long as the commutation-sequence is adhered to. 1) Change driver code to match motor hall-commute sequence? 2) And/or, match hall sensor wire connection to driver input? 3) And/or, match motor winding wire connection to driver output? So, the basic idea is that the hall sensors tell you when you are in the right place to energize a coil. Driving a motor correctly requires a.) correctly interpreting the hall sensors and b.) correctly updating the coil drivers when the hall sensors change. If you have the _order_ on the hall sensors correct, AND the _order_ of the coils correct but the two are slightly out of phase, you MAY still get the motor to turn. However, your coil drive will be effectively “leading” or “lagging” the position of the rotor. This usually gives you less torque, and will usually not start up about 1/6th of the time, and will sometimes have trouble reversing. It’s best to get this right. If you aren’t sure what changing various parameters will do, my recommendation is to hook everything up on the bench. Use a current limited supply so you won’t blow anything up, and try changing things. It will help you get a good intuition about how BLDCs work.